The One-Line: A movie crew starts to film a new zombie movie in a rural graveyard but the inhabitants have other ideas. zombies and to make matters worse a bunch of redneck locals form a mob to destroy everyone. Finally, all the living band together against the undead and learn that to send the zombies back to the grave they must perform a counter-curse. But to perform the counter-curse they need to find several items. They enlist the help of the audience members and take them on a Clue Quest to find the items outside the theatre somewhere in the school. The problem for the audience members is that the halls of the school are filled with zombies who want to feast on their flesh. 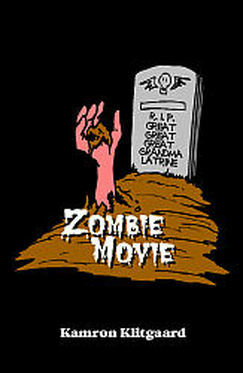 If the audience members can collect the items without being touched by the zombies they may return to the theater for the final act and help send the living dead back to the grave.